Paltrack has extended its solutions to include a flexible mobile survey tool. This offering is called PALINFO. Think mobile quality assurance, scouting, compliance or field staff management. If you can think of the question(s) that you want answered by typically non-desk-bound staff and need those results back in a consistent useable form, then this is the tool for you. The tool will save the result to your Paltrack database (e.g. PALPACK or PALBROKER) and the results can simply be made available in MS Excel. The aim of the survey tool is to give clients the flexibility to setup their own question lists while defining what valid responses may be. Bearing in mind that some of the answers might be GPS coordinates or pictures if the mobile device (e.g. smartphone) used allows for these options. PALINFO can be used in on-line or off-line modes. The on-line mode provides the ability to validate input against a central database e.g. PALPACK or PALBROKER. When creating the surveys, valid responses can be set by linking master-files or response lists. 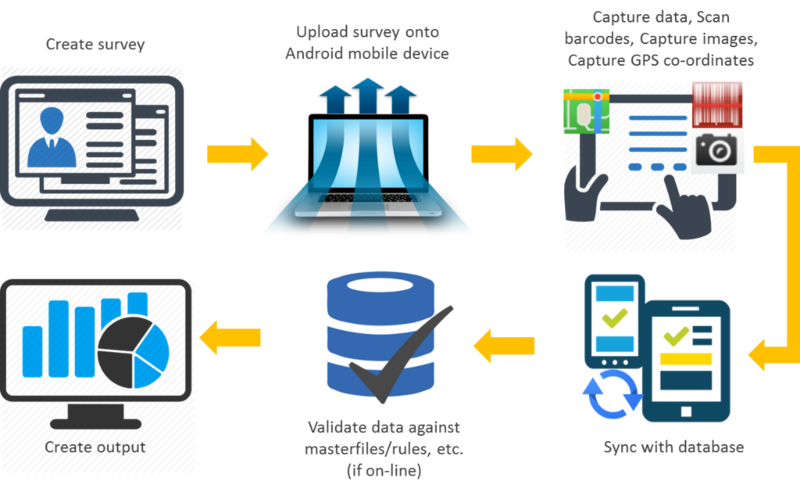 In off-line mode, the user can capture data on any Android device. Data is then synchronized to the central database when the user has coverage. The tool caters for conditional branching, in other words, the answer to a question can be used to determine what else to ask. It provides for the categorisation of surveys. Users can be assigned to categories to focus the surveys they can access. For further information, please do not hesitate to contact your local Paltrack representative or Jeanette Jenkins on (021) 818 4200.